Birmingham City Council is asking residents and people who travel in Birmingham to take part in a survey, aimed at finding out what people think of the city’s buses – whether they use the services for don’t. 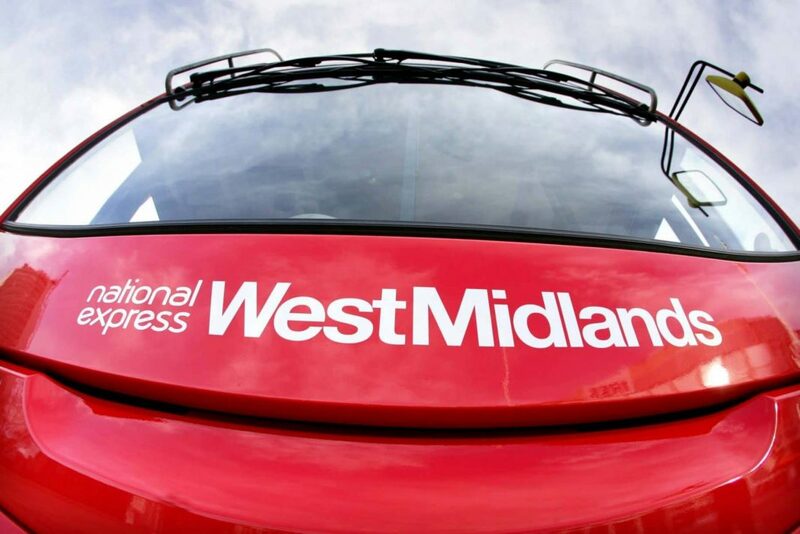 However, while figures show good levels of satisfaction among bus users across the West Midlands, the total number of journeys being made by bus in the region is declining year on year. In particular, there has been a decrease in the number of bus trips into the city centre. The survey, which closes on 1 March, can be accessed here. Amanda Cartwright. I support every word you have just said. 2 buses just to go shopping, be it Harborne or Northfield. I have waited in the freezing weather at the 22x bus stop for half hour, after coming off the 23 from Harborne with trolley full of shopping, many times since the changeover. Whoever worked this system sitting at their desk, ought to come out and use our buses to see the massive problem they have created. Not only does it affect workers, schoolchildren, disabled, pensioners, I speak with the shop workers in Harborne, and their sales have plummeted. Also I have heard of workers giving themselves extra time to get to work and still being late, sadly some have lost jobs. When they contact West Midlands bus services, they are called liars, saying their buses have been on time. We need a bus from Kitwell Bartley Green straight into town. They said the changes would make using the new system quicker, far from it, now it’s an all day mission just to go shopping. Not everyone owns a car. I wonder if any person who changes the bus routes around spend time traveling on them for a week first , I think not. Bring back x64..18 a joke..Especially at 7.11 in the morning. Why did they have to mess with buses and routes. Why don’t we use public transport – the inside of the buses are very often littered with the free papers, plastic bottles etc etc. The seats are not comfortable, too low, not clean and often or not they smell. People smoke illegal drugs upstairs, which stinks the bus out. Understandable with all the roadworks going on in and around town, delays buses, but they never seem to run to the timetable. Electronic timetable, next bus etc do not always work, so you can be standing around, then 2 or maybe 3 buses arrive altogether. To get from West Heath to Moseley is 3 buses, 47 runs fairly good, number 11 can wait for upto 30 mins to Kings Heath, 35 and 50 run very frequent and is the easier part of the journey. When we go into town, we let the train take the strain. The Labour Council is going to charge for parking at Lickey Hills. People would therefore be more likely to go for fresh air there by public transport except that the bus service to the Lickeys is hopeless. If I take my dog to Lickey Hills park from West Heath (only about 2 miles away) for a good walk it usually takes an incredible one and a quarter hours to get there by bus since the service changes. The journey involves 2 buses with usually a long wait in between and then a tour around Longbridge and Rednal, up hill and down dale, then a circuit of Cofton Park until we finally get to the Lickeys. Then it’s probably another 5 to 10 minute walk to the park area. It’s quite tiring especially on a hot day and since the bus route changes it’s just too much trouble and so we hardly ever go there at all now. If the Labour politicians who run the Council and the managers who worked out the new bus routes tried out their bright ideas for themselves they might think again. Meanwhile the pleasure ordinary south-west Birmingham people get from our wonderful local amentites is being spoilt by city centre councillors who never visit our area and don’t care about it and bus route planners who probably always travel by car. yes i use the 63 bus regular and before it got all changed the 61 too which i preferred as it had wifi and charge ports. I work in Frankley near to both 63 and 61 terminus of these buses and hear a lot of complaints from people about how fed up they are and what a poor service it is now and how a lot of the elderly have no bus near to them and have to walk a fair bit,not good in bad weather.Bringing back both buses to run up and down Ormond road,then going different routes into town like they did would be a god send to Frankley as so many people who live here miss it being that way.This estate also has a lot of young mums with push chairs and a special unit where there are wheel chair users.